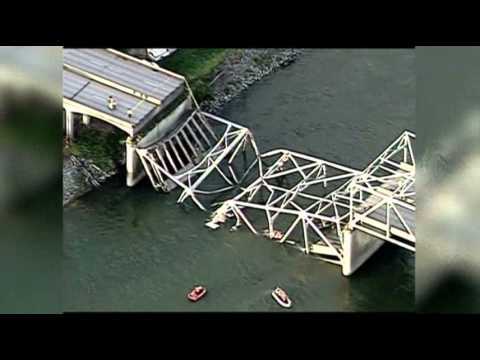 When a bridge falls in America, like this one near Seattle last week, infrastructure spending has a way of transforming into a national obsession. Fortunately, falling bridges in America are still a rarity. But, infrastructure spending is being squeezed at the very moment that infrastructure spending is a historic bargain for the federal government. … and as a share of the economy, it’s at a 20-year low (the lowest on record with St Louis Fed data). Our construction budget has been the victim of deficit fears, but it’s the infrastructure deficit that’s truly absurd. Our expensive transportation and utility challenges absolutely aren’t going away, but our window of opportunity to cheaply fix them absolutely will. Roads, rail, airports, broadband, electrical grids … repairing or building out these systems is a matter of inevitability and U.S. interest rates and labor costs will only go up as the economy recovers. For a rich country like the U.S., the beauty of the federal government borrowing in its own currency is that you can finance huge deficits when the economy stinks and use that money to fill the gap left by the private sector and state and local governments. Infrastructure improvements — the shared responsibility of all levels of government and the private sector — are the perfect recession-time gift from Washington. States and local governments are pulling back because they have to. Washington is pulling back because it chose to. There are scolds who accurately point out that infrastructure rhetoric is somewhat famously hyperbolic. There are real-keepers who accurately point out that our share of bridges that are either “functionally obsolete” or “structurally deficient” has actually been declining over the last ten years. There are fiscal conservatives who accurately point out that we don’t spend much less on infrastructure than the rest of the developed world, including Europe. My response is two-fold: (a) they’re all right; and (b) so is the argument that Washington should be spending more on infrastructure. America’s rebuilding needs aren’t going away. The basement-bargain price of rebuilding America is. Unfortunately, we might have to wait for a bridge collapse to inconvenience a member of Congress before infrastructure spending is rescued from austerity. Then, perhaps, we’ll finally take advantage of the best deal on the market.